Jewellery adds elegance to a woman’s attire. When you plan to buy second-hand jewellery, you need to consider many things, like personal choice, the availability of what you’re looking for, through to checking the authenticity of the jewellery and making sure that you get the right value for your money. We at The Luxury Hut have the experience to guide you through the process of buying pre-owned jewellery, helping you make the right decision. We will help you to check the authenticity of the second-hand jewellery when you buy from any seller. We also have a large range of second-hand jewellery in stock for you to choose from. Why Go For Second-Hand Jewellery? Price is the main factor when you buy jewellery whether new or second hand. Besides cost, several other factors determine the reasons for purchasing second-hand jewellery. For many reasons, people often sell relatively new jewellery which they have hardly worn. Price depreciation is something you need to consider when you buy brand new jewellery, whereas with a good quality, pre-owned item you can pay a much lower price. Buying pre-owned jewellery will reduce the demand for new jewellery, hence there will be less of a burden on heavily mined areas. In some ways, buying second-hand jewellery will contribute towards a more sustainable environment. 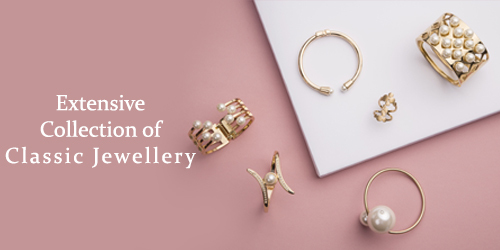 You can make your very own style statement with second-hand jewellery if you find some rare vintage pieces. If you’re lucky, you might find some great pieces of jewellery belonging to a different era. Sometimes you can see unique samples that cannot be accessed easily as new. This enables you to be individualistic in your choice and taste. There are times or occasions that you have to buy new pieces of jewellery as there is no other option. It is an investment that you can pass down your generations or such pieces can be given as a gift to someone on a special occasion like a wedding. For people who are interested in antique or vintage jewellery pre-owned jewellery is the answer. You have the choice of being different and at the same time have the advantage of adding such unique pieces to your collection. At times pre-owned pieces of jewellery can initiate interest and fascination about its meaning and origin, e.g. Family heirlooms often have a story of their own. When you are buying second-hand jewellery from a store or online, you should do so with curiosity but with an open mind. You need to, first of all, establish the genuineness of the items you intend to buy, getting full value for your money. Be sure of the authenticity of the items to avoid disappointments later in case you plan to resell the items at some future date. If you are purchasing second-hand jewellery from a private dealer, you will have to arrange to ensure the authenticity on your own. 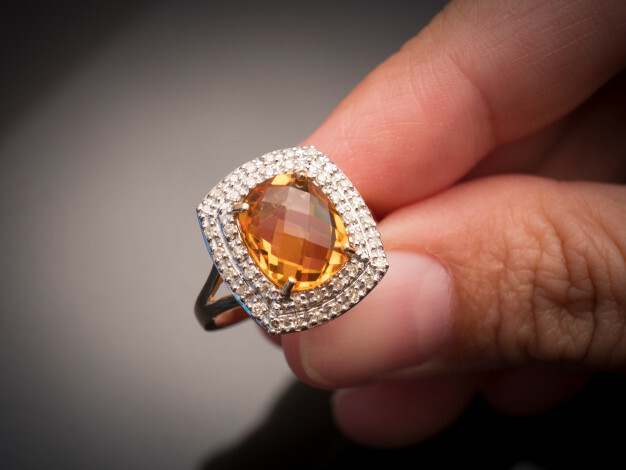 But at Theluxuryhut.com we take great pride in having an experienced and knowledgeable in-house team of gemmologists who possess the necessary qualifications. 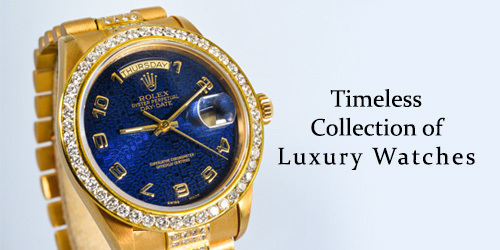 They are experts in their field and can check the authenticity of the second-hand jewellery effectively and efficiently. Several factors can help in checking the authenticity of second-hand jewellery and detecting fake products too. Check for hallmarks or stamps stating the carat rating of gold jewellery like 9ct(375), 14ct(585), 18ct, or 22ct for white gold or yellow gold. Second-hand silver jewellery has a stamp of standard 925. Try doing the magnet test on your own jewellery to check the genuineness of the metal. Real gold will be unaffected by a magnet, not sticking to it. On the other hand, jewellers test gold using scientific methods like an XRF gun or the acid test which can check the purity by creating an X-Ray of the jewellery. Brands like Tiffany & Co. always have a hallmark stamp on their jewellery. Look for such stamps when you buy a pre-owned piece of jewellery. All items of jewellery come with a certificate of authenticity from WGI, GIA or IGI. Although this is not always the case, you can certainly check when you buy second-hand items. Ensure that the documents coming with the second-hand jewellery are genuine. Beware of forged documents! You can easily identify forged documents by spotting things such as spelling mistakes, blurred printing or improper text.